Claudia Diehl is currently a Professor of Sociology at the University of Konstanz. 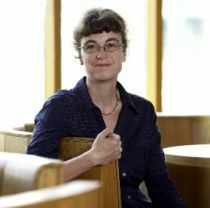 She got her diploma at the University of Mannheim in 1994 and finished her PhD in Mannheim in 2001. She has a strong expertise in migration and integration research and is principal investigator of the Norface funded research project "Socio-cultural Integration Processes among New Immigrants in Europe” (SCIP), a survey among 8.000 recently arrived immigrants in four European countries. In her research, Diehl is studying migration and remigration processes, migrants' patterns of integration in the host societies and discrimination against and exclusion of minority members. Methodologically she does mostly quantitative empirical research, e.g. population surveys and field experiments. She is a political advisor to the Federal Ministry of Interior Affairs (Expertenrat Demografie) and member of the advisory committee for the Federal Ministry for Families, Senior Citizens, Women and Youths (Wissenschaftlicher Beirat für Familienfragen). Recent publications include: Diehl, Claudia; Matthias Koenig, 2013: “God Can Wait - New migrants in Germany between Early Adaptation and Religious Reorganisation”. In: P. Connor (Ed. ): Incorporating Faith: Religion and Immigrant Incorporation in the West. International Migration, Special Issue. Volume 51 (3): 8-22; Diehl, Claudia; Jan-Philip Steinmann 2012: Cool Minds in Heated Debates? Migration-related Attitudes in Germany Before and After a Natural Intervention. International Journal of Conflict and Violence. Vol 6 (1): 141 – 162. Claudia Diehl joined CReAM as an external fellow in July 2013.